Christmas is about expectations. “Come thou long expected Jesus” was the prayer of God’s chosen people as they waited for the Messiah. In celebrating Advent, we enter into those expectations and rejoice in their fulfillment. Sadly, we often load Christmas down with all kinds of other expectations. When people or presents don’t meet those expectations, we feel disappointed. Unrealistic expectations lead to unhappy emotions. 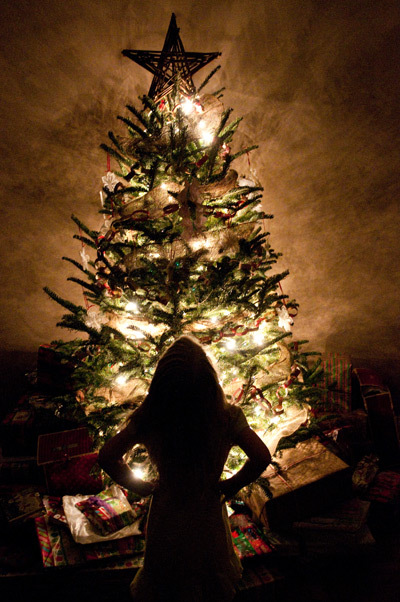 What should our expectations be this Christmas? First, we should expect nothing. If we go into the holidays with zero expectations of how our husband will shop for us or how our children will behave or how our sister will treat us, our emotions will be unruffled by other people. In other words, the best way to prepare our emotions for Christmas is to repent from idolatry. Remember, as John Calvin warned us, the evil of our desires is not so much in what we desire, but that we desire it too much. We often call these desires “expectations.” And where you have “disappointed expectations,” more often than not, you’ll find an idol lurking nearby. When we do away with selfish expectations–or as the Bible likes to call them, “worthless idols”–we can expect joyful emotions this Christmas. Expect that your children may be ungrateful or unruly or that your uncle may criticize your Christian convictions. Expect trouble this Christmas and you will be better prepared to handle it emotionally. For the Christian, our troubles will be miles away and out of sight—one day. But that is the promise of heaven, not Christmas. Unless the Lord returns or calls us home, trouble is an ever-present reality, sometimes especially so at Christmastime. He is able to help! He is able to help us respond graciously and courageously to our antagonistic uncle. He is able to help us train our children. He is able to help us put off worthless idols and find our joy in Him. In our Christmas troubles and temptations, we can expect the help of the incarnate God. God is with us and God is with us to help. He has made propitiation for every sin. He is able to help us to resist every emotional temptation. His presence is our comfort in every trouble. When we set our Christmas expectations on Christ, we will be full of joy unspeakable.